Every year we see certain trends arise in data center design and construction and, as 2016 winds down; we are able to take a look back at the year and anticipate what may be ahead in 2017. Data center design is constantly evolving as infrastructure changes and storage needs shift. Data center design is an expanding facet of the data center industry because every data center must be flexible and always constantly capable of adaptation and updating to stay current. Technavio points out just how important data center design is and will be looking forward, “This is why the global data center design market, which was valued at just $516 million in 2015, is expected to top $1.2 billion by 2020, growing at a cumulative average growth rate of 19.03%.” A data center that can scale on demand will be the data center that flourishes in 2017. When it comes to data center design, one of the most common problems that data centers encounter is outgoing their existing space. This is combatted in a number of ways including increasing rack density, colocation, and usage of the cloud. Colocation will be a big trend moving forward for many businesses that have simply outgrown their enterprise data centers, or do not want to take on the task of managing IT infrastructure and protecting data security in a world where threats are constantly evolving. When businesses opt for colocation, it often opens the door to on-demand scalability and peace of mind that IT experts are managing data security. Additionally, we will see an increased use of the cloud in data centers to meet growing data demands. CloudTweaks offers a concise explanation of why the cloud will be transformative in data center design moving forward, “While organizations continue to consolidate facilities to save money, their need for effective data management and storage have increased exponentially. The volume of digital data is growing at an unprecedented rate, doubling every two years. Today’s IT execs are under phenomenal pressure to deliver value, while maintaining cost and efficiency. This is where the cloud can be most effective. Through economies of scale, cloud vendors are able to deliver the same, if not better, performance than in-house data centers at a lower cost. Furthermore, the cloud provides a centralized computing system that enables data and applications to be accessible from anywhere, anytime, yielding operational efficiencies.” Lastly, we will see a continued trend of making data centers more “green.” This means making efforts in design to more efficiently cool data centers and more efficiently supplying necessary power. These three trends are sure to be strong going into 2017 and will directly impact data center design. 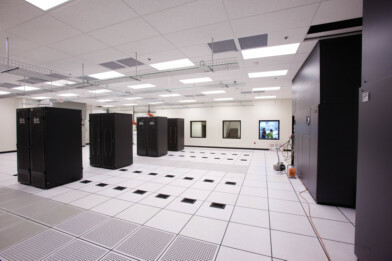 This entry was posted in Data Center Design, Datacenter Design and tagged data center design, data center design company. Bookmark the permalink.